We regret to have to inform Members that Life Member Count Stephen Ouvaroff died unexpectedly on Monday 13 November aged 82 years. 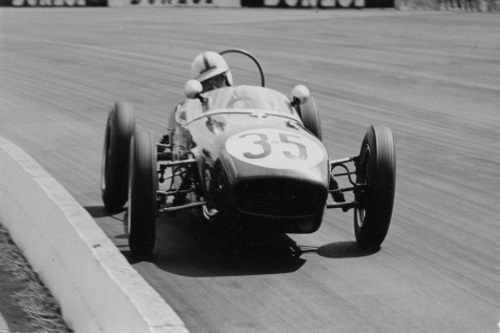 Stephen began his racing career in his native Australia in a Ford V8 Special before moving to England in 1956. Stephen continued to race achieving good results in an Alfa Romeo and a Formula 2 Cooper, as well as participating in Formula Junior where he achieved strong finishes including a 3rd at the Nurburgring in 1960. The BRDC extends its sincere condolences to Stephen’s wife Aprille and their six children. The Funeral will take place on Tuesday 5 December at 1pm at St Peters Church, Church Lane, Off Petersham Road, Petersham, Richmond, Surrey TW10 7AL. All Members welcome. A full obituary will follow in the Bulletin.